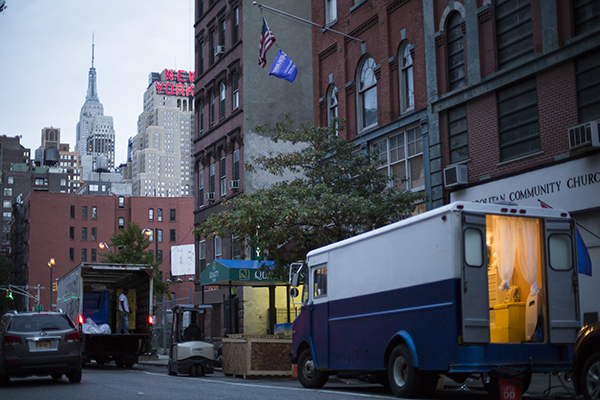 The project consists of a mobile hair salon built inside an old ice cream truck. 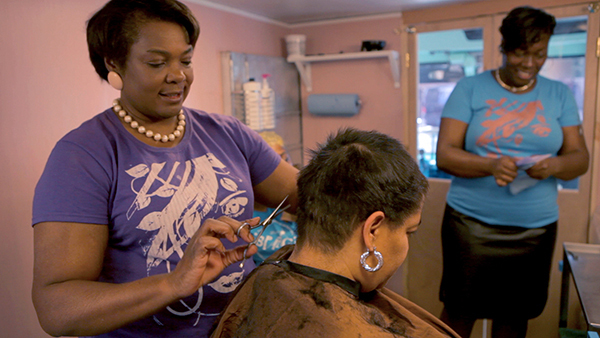 The pop-up salon provides beauty services to people living in homeless shelters, including hair wash, cut, and color from a team of volunteer stylists. While offering access to a cosmetic service may seem unessential for people who always negotiate for basic services, ‘Beauty in Transition’ provides a space where people feel dignified by choosing self-representation. 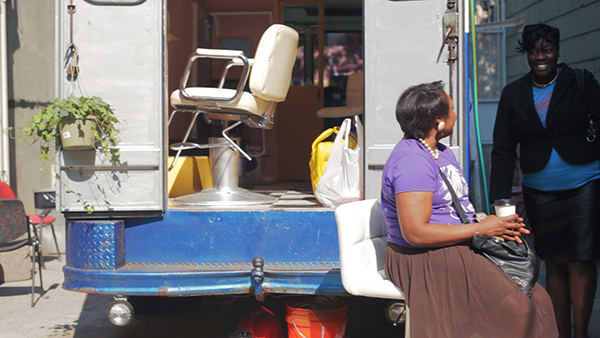 To provide cosmetic services to people living in homeless shelters. People can have cosmetic services for free. By experiencing an ‘unnecessary’ service they may re-access a part of their forgotten identity linked to how they appear in society. A Blade of Grass, Brooklyn Arts Council, Asian Arts Initiative, ArtPlace America, the Visual Artist Network Exhibition Residency, Esopus Foundation.